It’s wet. It’s cold. It’s the first cold day after a long spell of warm weather. You’re running late for work. You jump in the car, turn the key, but instead of purring instantly to life, the engine struggles to turn over. Fortunately it does fire, and you’re soon off for the day. Phew, that was close! One of the most important components of your car is the battery – without it you will not be able to start your car. In fact, for many people when a car fails to start the first thing that they check is the battery. It is vital to take care of your car battery, and to do that you have to know what factors affect it and reduce your battery’s lifespan. Read on to discover the top 5 influences that affect how long your car battery lasts for. The first is temperature. Every lead acid battery contains lead plates and an electrolyte liquid both of which work to create an electro-chemical reaction that produces a charge to the battery terminals. When the weather is hot the chemical reaction is accelerated which means that your engine turns over faster, but which also means increased corrosion inside the battery, reducing the car battery life. It is even worse in cold weather. When temperatures drop the chemical reactions within the battery are slower which makes it harder for your car to start. On a typical winter morning you may have to turn your car a few times over before you can get the motor running. There are batteries that are rated by CCA, or Cold Cranking Amperage, and the rating on any particular battery will translate into the amount of current the battery can deliver for half a minute at -18C. If a battery is in good condition and is fully charged it should be able to deliver at up to -50C, but if your battery is old or not properly charged it can fail at as low as -1C. You should also take into account that the older a battery is the more water it is likely to retain. When this water freezes and expands it damages the cells even further. Dirt is an excellent conductor of current, so if you have a dirty battery you can expect it to drain faster. Even worse, dirt causes corrosion and will make your battery useless sooner. As you clean under the bonnet of your car take some time to get the battery clean. Your car battery may eventually need to be replaced because on any given day your car is driven only for short distances. In many cities around the world the average car is driven for about 20 minutes a day. This means that there isn’t enough time for your alternator to recharge your battery which leads to a process called sulferization. That process renders your battery useless. If you want a long car battery life schedule a trip out of town every other weekend. Today, many people have additional devices in their cars all of which rely on the car battery for charging. 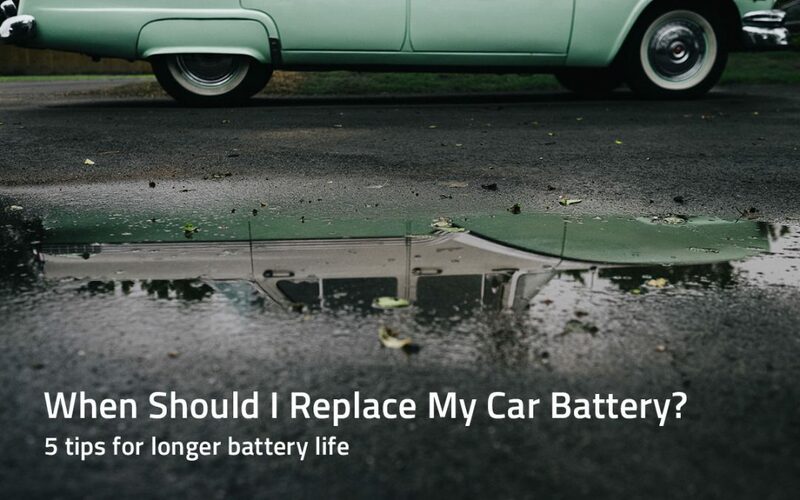 Whether you are talking auxiliary audio jacks, phone charging ports, GPS systems, fancy car radios, portable DVD players or any other devices always keep in mind that they are draining your battery and shortening its life. If you’re anything like me, there has been a time in your life when you’ve arrived home in the dark, parked your car and rushed inside. It’s only in the morning when your car won’t start that you realise you left the overhead console light on by mistake when you got out the previous evening. Draining your battery like this too many times will also shorten your battery’s lifespan. How can you make your car battery last longer? Make sure that all terminals are clean at all times – sometimes a car will refuse to start because the batteries are clogged. Make sure that the battery fluid is always at least 5 mm above the plates. Make sure to take your car for maintenance as scheduled. It is important to pay close attention to your car battery – the last thing you want is to get stranded somewhere far away from everyone else with a dead car battery. The average car battery will last for about 4 years, 5 if you take excellent care of it. If you don’t install a new one after this period you can expect to get stuck at some point and need assistance. If you are having battery problems or think you are in need of a new battery, visit one of our outlets or give us a call on 03 9793 6655 and we’ll help diagnose your problem and find the best replacement battery for your vehicle.